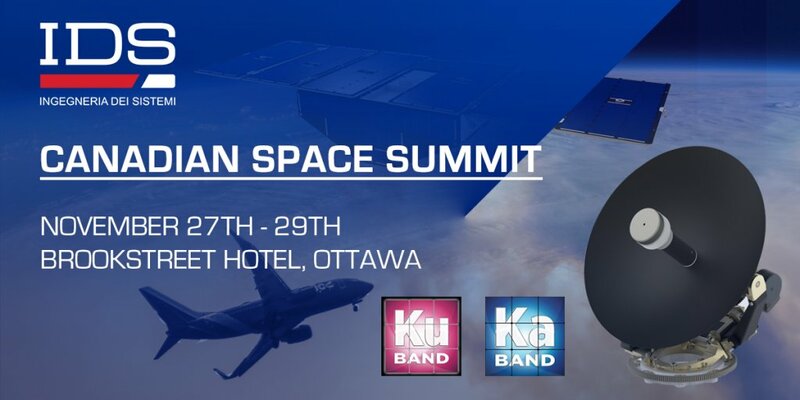 IDS will display our full range of Satellite Terminal and ElectroMagnetic Engineering – EME products and services, CAE tools and measurement solutions, at the 18th Annual Canadian Space Summit – CSS 2018 from the 27th to the 29th of November in Brookstreet Hotel, Ottawa. EME is a vital technology for the operation, design and optimization of a modern space platform. It is critically important to optimize the platform which is dedicated to fulfil a specific mission with the use of large modern materials being assessed. The ElectroMagnetic Engineering includes disciplines such as antenna, sensor design and siting, radar cross section and infrared signature assessment and mitigation, electromagnetic compatibility and interference verification, including advanced (meta-) materials design. participation on the global stage. For more information, please visit us at our stand.